Welcome to the newly redesigned and administered Sioux County, NEGenWeb site. A debt of gratitude goes to Thelma Nation, who passed away on 28 Aug 2010, for her work and dedication to this site and on Sioux County genealogy in general. The information she gathered has been preserved and is being presented here in her memory. 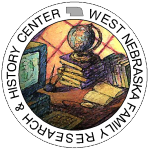 New information for the site comes from volunteer efforts by family history researchers from abroad, members of the Northwest Genealogical Society and volunteer researchers at the West Nebraska Family Research & History Center. Basic research requests posted through the Queries pages may be answered by any one of the various groups monitoring this site. Patience is a must. Please keep in mind this site is a “work in progress” so some pages and/or features may not be completed yet, however they are being worked on as time permits.